Even with a full week in northern Italy, the jaunt to Prosecco’s beautiful hillside country was a bit of a stretch, logistically, with all the other sparkling wine regions I would be visiting much further east, but I was hoping it would be worth it for the opportunity to taste blind a significant number of Prosecco DOCG Rive and, from a quality perspective, I was not disappointed. What I like about Prosecco is that it does not pretend to be Champagne. There are a number of sparkling wines in this world that are made from grape varieties that are not enhanced by either bottle-fermentation or yeast-ageing, yet that is exactly how they are made. No such hubris for Prosecco, not even when the DOCG for Conegliano-Valdobbiadene was introduced. I did not understand Prosecco until 2007, when Decanter magazine asked me to use my Champagne expertise to evaluate Prosecco at the very first large-scale Prosecco tasting in London. At that event I soon realised that my Champagne expertise was the very last thing I should be taking to the tasting table when evaluating such wines. If anything, it was more useful to compare Prosecco with Cava, both of which are made from indigenous grapes, but whereas Cava is bottle-fermented, Prosecco gets whizzed around a giant, shiny silver tin can and bottled before most Anglo-Saxon can say Conegliano-Valdobbiadene. In 2007 I reached a conclusion that surprised me: I prefer Prosecco to Cava. It surprised me because it seemed counter-intuitive to prefer a tank-fermented to bottle-fermented sparkling wine. However, it was not a matter of method per se, but a question of which method best suited the grape varieties in question and Prosseco (as it was known then) or Glera (as it is known now) needs to be consumed as fresh and as young as possible, with as soft and as creamy mousse as possible. To achieve that the only way to go is cuve close, particularly when fresh grape juice is used for the dosage, which has long been a traditional practice in Conegliano-Valdobbiadene. I should qualify that my preference is a general one. Even back in 2007 there were a few Cava that outshone the best Prosecco and eight years later that number has significantly increased, yet – exceptions apart – I still generally prefer Prosecco to Cava. Over dinner, the night before my tasting, Giancarlo Vettorello, the Director of the Consorzio Conegliano-Valdobbiadene told me that it was due to something I said at the very first Prosecco tasting in London in 2007 that the Rives were born. That I was, in fact, the father of the Rives. “Why, what did I say?” I asked, having absolutely no idea myself. Giancarlo told me that I had expressed the opinion that Prosecco needed to indicate on the bottle where the wines came from. Contrary to the journalist’s creed of not letting truth get in the way of a good story, I have to correct Giancarlo because what I did point out on the day was that Cartizze, the very highest cru in the Conegliano-Valdobbiadene region, was sweet and I was not sure that was (to quote myself at the time) “the right message to get across. They should of course keep and revere Cartizze, but they should also look to promote a Brut or, at the very least, Extra Dry Prosecco grand cru”. Well, they found a whole bunch of crus to promote and, ironically, you can now find Cartizze Brut. Not that I think I had any influence whatsoever. The truth is that it took less than 15 months from my comment until the (then) forthcoming DOCG with its Rive component to be announced and, sorry, the Italians just do not move that quickly, not even in the north of the country! Obviously the concept of terroir-specific Prosecco had already been in discussion for quite some time. Indeed, a small but significant number of producers had been selling single-vineyard Prosecco for many years under the old DOC regulations and, if anything, I suspect that it was the higher prices obtained by these products that generated the Rive concept. Another change that is clearly noticeable since the DOC days is the proliferation of vintaged Prosecco. Prior to DOCG, the indication of a vintage was restricted to less than 20 per cent of Conegliano-Valdobbiadene Prosecco producers, but the likes of Bisol used vintaged cuvées to drive sales in the USA, and I am sure that the substantially superior prices received by Bisol for these wines motivated the raft of vintaged Conegliano-Valdobbiadene Prosecco that has now become available. My tasting the next day was not restricted to Rive. In fact I had come with two objectives in mind. One was to see if I could discern any difference between pure Conegliano and pure Valdobbiadene, and as most Prosecco are labelled generically as Conegliano-Valdobbiadene, Rive represented an easy way to pinpoint a more specific provenance, but I was also tasting the very few Prosecco DOCG that are labelled simply Conegliano or Valdobbiadene, plus a few more that that their producers claim to be exclusively from one or the other, even though they are generically labelled as Conegliano-Valdobbiadene. The other objective was to see if there might be any “magnum effect” for Prosecco. Both of these objectives are highly contentious. Firstly terroir. The only evidence of terroir in Prosecco as far as I have been able to determine has been more regional than any single Rive might be expected to display, such as a basic difference in alcohol (0.5-1.0% higher in the flatter, more alluvial Conegliano district) and acidity (about 1.0g/l higher, expressed as tartaric, in the hillier Valdobbiadene district), which should theoretically make Conegliano fatter and more fruity, while Valdobbiadene ought to be crisper and more floral. One of the main factors preventing more specific expressions of terroir is the amylic (pear and apple) aromas that dominate such a very young, tank-fermented, sparkling wine. When discussing Prosecco, amylic aromas are commonly referred to as primary aromas, but they are in fact fermentation odours, thus secondary aromas by definition. Primary or secondary, however, these aromas are vital to Prosecco, as they define the freshness and elegance that are absolutely essential to its success. As I sat down to begin this tasting, the overriding question for me was whether it is even reasonable to expect any characteristics of terroir to show through in a wine that had whizzed around a huge shiny can just months earlier. Personally, I did not think it was reasonable. Because of this and the probability that the extremely basic differences in alcohol and acidity might lead me to favour what I thought might be Valdobbiadene over Conegliano (in theory at least), I decided not to guess the provenance of each Prosecco. Instead I simply scored the wines on merit, hoping that when I received the crib sheet I might see common descriptors for one provenance as opposed to the other. As it was I did not prefer Valdobbiadene. In fact it is arguable that I did not prefer one district to the other, that top Prosecco exist in both. As for the “magnum effect”, it would be extremely controversial to suggest that this exists in a wine that was not even fermented in a bottle and which should be consumed as freshly as possible, thus has very little opportunity to benefit from the half-ratio of oxygen to wine. However, although it has always been my opinion that Prosecco should consumed within 12 months of its harvest, the results below illustrate that exceptional cuvées can remain fresh and retain elegance for up to 18 months (possibly longer for my top-scoring 2013s), so I imagine that if any “magnum effect” could be detected in Prosecco, it would be in older examples such as these, but as no one submitted any magnums (and no explanation why this might be), that element of the tasting could not be examined and must be shelved until some future date. For the producers’ own benefit, I have indicated the medal I would give each wine if judging at the Champagne & Sparkling Wine World Championships (CSWWC). It is extremely difficult for Prosecco producers to win Gold and Silver medals at general competition because the wines are inevitably mixed blind with method traditional sparkling wines, the criteria for which is totally different. At the CSWWC we taste by provenance and completely immerse ourselves in each style to order to award medals. We do not judge Prosecco by criteria that can only be produced by bottle-fermentation and yeast-ageing. That would be pointless. We believe that Prosecco drinkers deserve to know what are the very best Prosecco wines on the market and only the CSWWC can provide that. My verdicts below are by no means a guarantee of success, as I am just one of three judges and if there is disagreement we discuss, tasting again from fresh repours if necessary. Furthermore, if the wine is non-vintage and a different batch is submitted, or if it is a vintage and a different bottling happens to be entered to the competition, my own rating could be different. However I would suggest that it would be worthwhile entering all the following wines in the CSWWC (closing date 10 April), whereas if a producer submitted a wine to this tasting and it is not included below, it would probably be a waste of money entering it. Some competitions want to benefit financially from as many entries as possible, but the CSWWC is a niche competition that is only interested in the very best (which is why a Bronze medal denotes failure as far as we are concerned), so we would much rather discourage technically sound but unexceptional entries than take your money, thank you very much. The tasting comprised of exactly 70 wines and my overall conclusion can be found after the tasting notes below at the end of this blog. i. The wines were tasted blind in order of sweetness, commencing with the lowest residual sugar. ii. 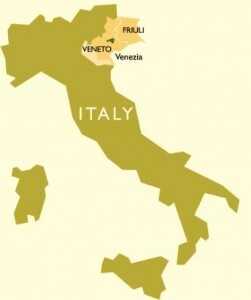 The location in parentheses indicates the specific provenance of the wine in question, even though the label in most cases indicated the all-encompassing “Conegliano-Valdobbiadene” region. I was unaware of the specific location at the time of tasting. iii. I was also unaware of what vintage I was tasting or indeed whether the bottle was sold as vintage or non-vintage. iv. I have judged some wines to be between two levels of medal or at one level with an added “maybe ….” Indicate. In a competition I would have to make up my mind, but here I am being completely open and honest, indicating that for such wines I would be prepared to be persuaded to go higher in my evaluation should there not a unanimous decision and it was open to discussion (not all wines, like people, can be pigeon-holed – some can sit on the cusp). My thanks to sommelier Giuseppe “Beppe” Piovesan (AIS) who poured for me yet again. His local knowledge of Prosecco is always a great help. Very fresh and very perfumed, with lovely acidity. Prosecco of great delicacy. Gold medal quality. Very fresh and aromatic, not too sweet, despite its residual sugar. Very smooth and elegant. Silver, maybe Silver-Gold. Gorgeously fresh, aromatic and elegant, with a lovely fluffy mousse. Gold medal quality. Clear-glass bottle, but totally clean. Very, very fresh and very elegant, with a hint of candied peel. Silver medal. So very fresh, with a delicate line of fruit. Silver medal. Fresh, elegant and aromatic, with a lovely creamy mousse. Bronze-silver. Lovely, fresh and aromatic, with elegance and good focus on finish. Silver medal. The fruit on the palate could be more linear and tapering, but it is the ultra-fresh, aromatically attractive elegance on the nose that makes this Prosecco a winner. Bronze-Silver. Very fresh, light and elegant. Silver medal. So fine and elegant, it has to be a Silver medal, yet if it had a more distinctive aftertaste, it could have been a Gold! A richer style, but one that is more intense than heavy, with an ultra-fresh elegance. Silver, maybe Silver-Gold. Gorgeously creamy mousse with lovely fresh, aromatic nose and fine, light and elegant, linear fruit on the palate. Silver-Gold. Fresh, elegant, but probably pays the price of coming after wine number 112 (Sanfeletto NV Brut), particularly on the finish. Retasted after a lower-scoring wine and definitely Bronze-Silver. Very surprised afterwards to discover that a 2013 could be this fresh. More serious, less aromatic, sweetness even on aftertaste. Not typical Prosecco, but has its own charm. Maybe Bronze-Silver. Again very surprised afterwards to discover that a 2013 could be this fresh. Excellent richness, yet still very fresh and elegant on the finish. Silver medal. This has it all for this level of sweetness. Very fresh, elegant and focused, tapering finish. Definitely Gold medal quality. Very, very fresh aromatics make for an extremely elegant style, with a clean, crisp finish. Better than I could imagine a Brut Nature Prosecco could be (even if it quite legally claims only a Brut designation). Silver medal. Again very surprised afterwards to discover that a 2013 could be this fresh, particularly one that I felt the need to duplicate “very” for its freshness. Very rich, intense and fresh. This is a Prosecco of some substance, but it has nicely focused fruit and a lightness of balance, with no indication of weight. Silver-Gold. The mouse had typically tiny bubbles, but it was the most voluminous of all the Prosecco tasted, swelling up in the mouth. However, the aroma was so fresh, and the fruit on the palate s crisp and elegant. Silver-Gold. Fresh, aromatic and elegant with a lovely soft, creamy mousse. A delightful Prosecco. Silver medal. Good Prosecco freshness and aromatics, with an elegance that stands out. Silver medal. Fresh, with good acids. Definitely Bronze, possibly Bronze-Silver. Very fresh, elegant aromatics and a lovely long, tapering finish. Gold medal quality. Very, very, very fresh, aromatic and elegant, with lovely fresh, elegant and focused orchard fruits on the palate. Gold medal quality. Rich, fresh and aromatically compelling, with a lovely, elegant, tapering intensity on the palate. Gold medal quality. Deliciously fresh and elegantly fruity. Bronze-Silver or Silver. Has more intensity than elegance, but stands apart from Bronze medal Prosecco, particularly as it is from the more mature 2013 vintage. Bronze-Silver. Very fresh, luscious, sherbety-fresh fruit nose and palate. Exceptional intensity, but still elegant, focused and not in the slightest bit weighty. The best Gold in the tasting. Potentially a trophy winning wine. Lovely, fresh and elegant, with a soft and silky mousse. Silver medal. First bottle corked, but the second was fine: soft, fresh and aromatic, with vanilla aftertaste. Silver medal. Very, very fresh, light and elegant. With a touch more intensity and length, this could have Gold medal potential, but it is still an impressive, solid-Silver quality. Very fresh, with nice mid-palate richness and an elegance on the finish. Silver-Gold. Almost Moscato in its aromatic quality. Gold. Elegant, focused, long, intense. Very fresh, aromatic, clean and elegant, with highly focused, distinctly peachy fruit. Gold medal quality. Very fresh and aromatic, with deliciously clean and elegant, sherbety fruit. Silver medal. Some of my personal preconceptions were disproved. Although I suspected that I might not be able to distinguish Conegliano from pure Valdobbiadene under blind conditions, I began the tasting expecting Prosecco from the hillier Valdobbiadene area might turn out to be proportionately more successful than Prosecco from the flatter Conegliano area, but not so! I enjoyed a high number of exceptional quality Prosecco from both Conegliano and Valdobbiadene, but although numerically there were far more from Valdobbiadene (26) than Conegliano (11), Conegliano was proportionately more successful, with a pass rate of 65% compared to Valdobbiadene’s 50%. My top Gold was from Conegliano, but seven of the nine solid Golds were from Valdobbiadene. Obviously top quality potential exists in both districts, but Conegliano was most consistent, whereas Valdobbiadene was more “hit & miss”. Valdobbiadene’s hits were, however, extremely impressive, with only the sheer number (26) scoring Bronze or lower that dragged down the stats. Conegliano’s consistency is highlighted by the success of its Rive, with only one lacking success, whereas 13 of Valdobbiadene’s Rive failed as far as I was concerned. The best Rive are top Prosecco, but not all top Prosecco are necessarily Rive. Some of the top Prosecco are blended wines, and of the 20 Valdobbiadene Rive wines I tasted, no less than 12 failed the test. The Cartizze on the other hand excelled, with 9 of the 20 top-scoring Valdobbiadene wines coming from this beautiful and truly exceptional cru. Another preconception shattered was that Brut lacked the elegance so vital to the Prosecco style and that Extra Dry and Dry were in fact best-suited. Yes, there were some lovely Extra Dry and Dry Prosecco (3 Extra Dry Golds, 2 Dry Golds, 3 Dry Silver-Golds and 1 Extra Dry Silver-Gold), but there were 3 Brut Golds and 2 Brut Silver-Golds. In fact, one of the 3 Brut Golds was the best Prosecco in the tasting. So, yes, Brut can work very well for Prosecco and Conegliano is clearly superior (7 of its 11 top-scoring Prosecco were Brut, compared to 7 of 26 for Valdobbiadene). I tasted just one traditional method (bottle-fermented) Prosecco, and it was the first from this particular producer, but I have tasted others and like those it was totally wrong in structure and missing a simple trick – it needed 0.5-1% chaptalisation. I’m not sure that any Prosecco should be made this way (unless it is 100% Pinot Bianco, which would be fabulous as a minority product trading on the Conegliano-Valdobbiadene location, but not the Prosecco name), but until at least one Prosecco producer gets the basics of bottle-fermentation right, it would be premature to dismiss this method for the Glera grape. Interestingly, the Brut Metodo Classico I tasted (a Rive wine) had the biggest bubbles and the most aggressive mousse, so those critics who say either that bottle fermentation produces the smallest bubbles or that cuve close produces the largest bubbles: wrong. In fact the smallest bubbles are achieved with cuve close and by ensuring the pressure is not high. The “magnum effect” … does it exist for Prosecco? Not possible this time, it is now top of my list for a future list. While in Conegliano-Valdobbiadene, I heard that some producers are extending the time on yeast in tank, to bring a certain fullness and more complexity to the product. It would take a well set up tasting to comment sensibly, let alone definitively, but my immediate reaction is that this could threaten the very aromatic freshness and elegance that is so vital to the Prosecco style. Getting it in and out of those big shiny tins cans as fast as possible works for Prosecco and, as our American friends say “If it ain’t broke, don’t mend it!” Not pretending to be Champagne has not only been they the key to its success, but it has also been responsible for carving out a customer base with an entirely different consumer profile. Most Prosecco consumers do not even like Champagne … Prosecco producers who forget that do so not only at their own peril, but also at the peril of the entire Prosecco industry, both DOC and DOCG. The wines that stand out do not merely have an amylic aroma. Most Prosecco are fresh, amylic and correct, but the best have a more complex aromatic richness that supports and elevates the simple pear and apple aromas of amyl acetate. They also have an intensity without weight on the palate, and finer, longer, more linear fruit, which tapers exquisitely towards the finish. 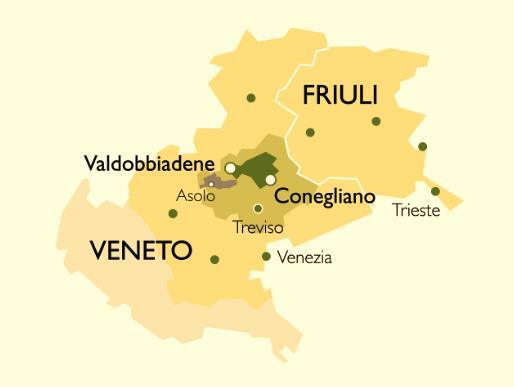 With both Conegliano and Valdobbiadene demonstrating that they can produce the very best quality Prosecco, any difference in terroir between one district and the other can be ruled out as the determining factor for the higher intensity and complexity. If not terroir, then what? Could it be due to the inclusion or exclusion of minority grape varieties (a maximum 15% of Verdisio, Bianchetta, Perera, Malvasia Bianca Lunga, Pinot Bianco, Pinot Grigio, Pinot Nero and Chardonnay is allowed) or could it be a specific clone or Massal selection of the primary variety? A minimum of 85% Glera, previously known as Prosecco Tondo) is demanded by DOCG regulations and although Conegliano-Valdobbiadene is mostly planted with the ISV-AV 19 clone, ISV-ESAV 10 is the second most widely planted and others can be found, such as ISV-ESAV 14 and VCR 101. There are other questions that need answering, such as whether Malvasia plays a more important role than its maximum of 15% would imply. As a legal document, the Conegliano-Valdobbiadene Prosecco Superiore DOCG regulations would not stand up in a Court of Law. Just as the Glera grape (technically the Glera Tondo) was originally known as Prosecco Tondo in this part of Veneto, so the Malvasia Bianca Lunga was known as Prosecco Lungo and now, of course, as Glera Lunga. Indeed, although it is not related to the Glera grape, the regulations refer to it as Glera Lunga, so although the regulations specifically limit Glera Lunga to a maximum of 15%, those same regulations demand a minimum of 85% Glera. If that was a minimum of 85% Glera Tondo, there would be no problem, but it is not, it is Glera plain and simple. Given the muddied waters surrounding both varieties and the fact that many local growers still believe both Tondo and Lunga to be variants of the Glera (aka Prosecco), that leaves a loophole in the regulations wide enough to drive a convoy of grape trucks through. This is why I wonder what role Malvasia Bianca Lunga (Glera Tondo) might play, whether the choice of Malvasia clone (VCR 40, VCR 50, VCR 90) has any impact, and whether that impact is positive or negative. What about the contribution of other minor varieties? Why are Pinot and Chardonnay grapes allowed to come from a much larger area that extends beyond the DOCG Conegliano-Valdobbiadene boundary? 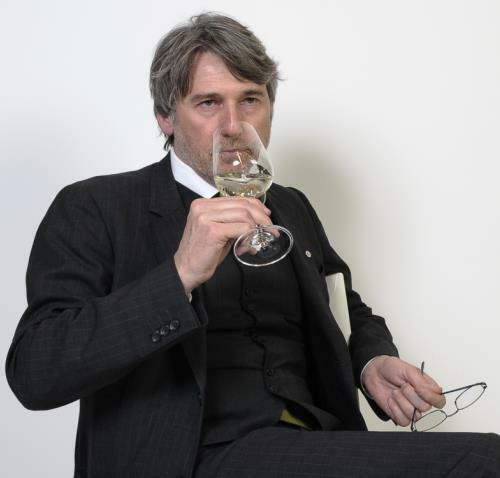 These questions should be tackled if we are to understand the matrix of quality for Conegliano-Valdobbiadene Prosecco Superiore DOCG, but it would take serious preparation and organisation to set up an appropriate and effective tasting. Is too much sunshine ruining your picnics and barbeques?